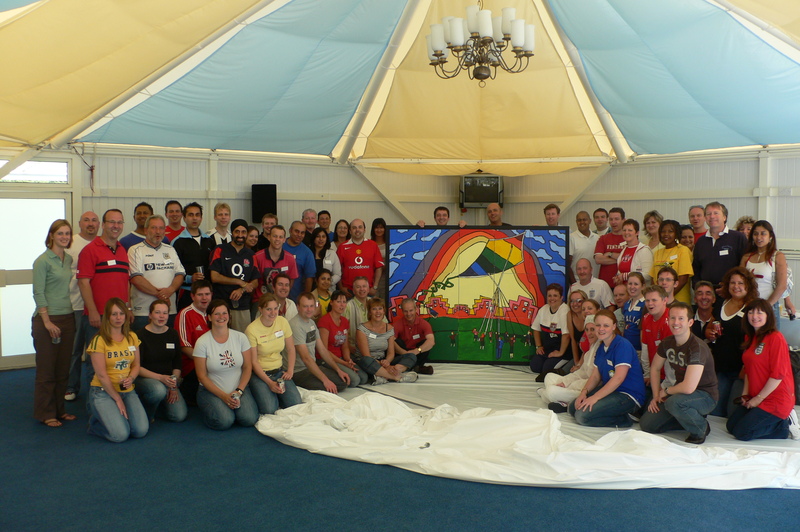 Groups are presented with overalls and painting equipment. 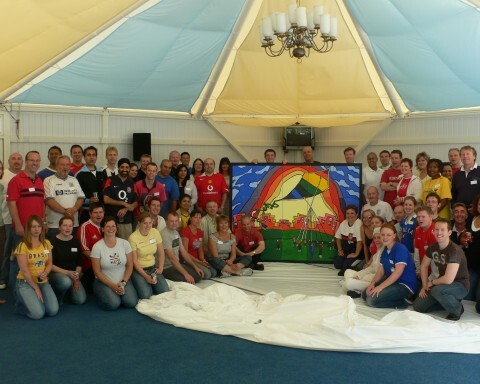 They must design and paint a mural or image that fits in with your event theme, company values or some other agreed outcome. We then let them loose. This is a popular activity for larger groups. Groups log to be creative so we provide everything they will need to complete a stunning picture. Groups can be tasked to increase collaboration and communication by pairing individual pictures that must join together to form one overall image. These should be taken away and hung somewhere prominent back at the office or workplace. Groups always surprise us with how good their paintings turn out. Considerations It’s good to mix groups up into those that feel they are creative and those that may not. We will help sew seeds and ideas to ensure the finished image is up to standards. Space is important and so is keeping tidy so we provide everything you need to make this happen.